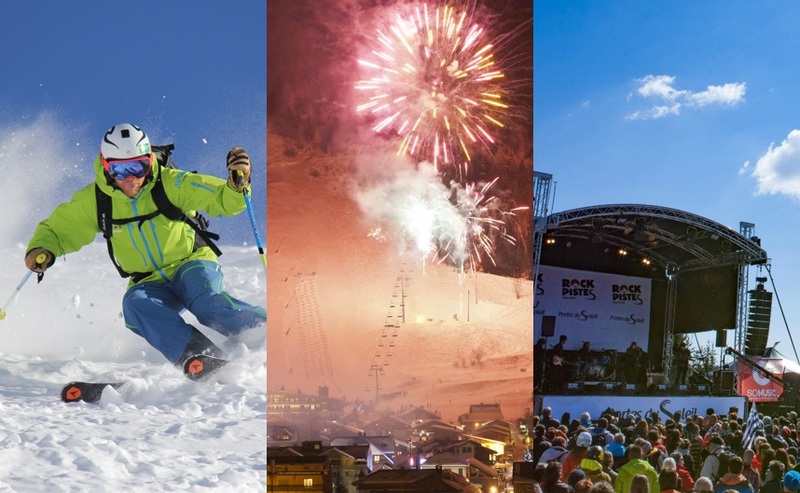 Winter Holidays in Morzine and Les Gets. 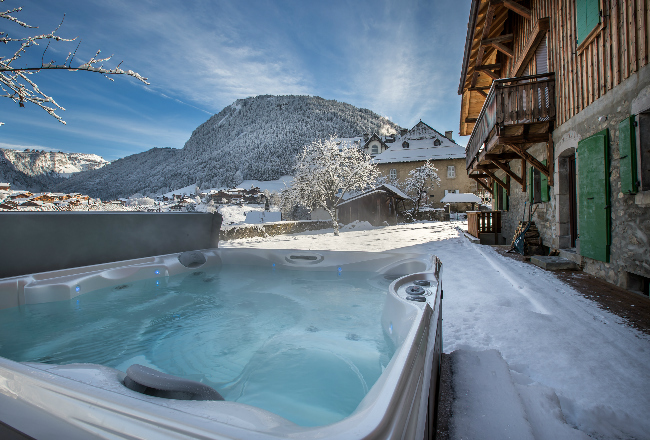 Welcome to Reach4thealps, an independent owner run chalet company based in Morzine and Les Gets successfully operating for 15 years. We are a small team personally overseen by owners Gina and Marcus ensuring great service from enquiry through to looking after you in resort. 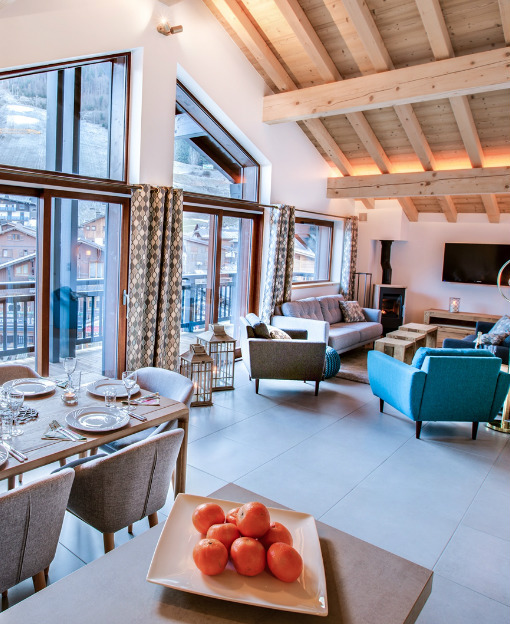 Our focus is on attention to detail, with restaurant standard cuisine served by mature and hospitable staff who will go the extra mile to make sure you have a truly memorable ski holiday. Our chalets are ranked highly on Trip advisor and over 70% of our guests have either stayed with us before or have come by way of recommendation. In addition to a brilliant team, we also have a great choice of high quality centrally located self catered apartments and chalets and luxury catered chalets. While each chalet is individual, all are of a high quality, spotlessly clean & a true home from home. 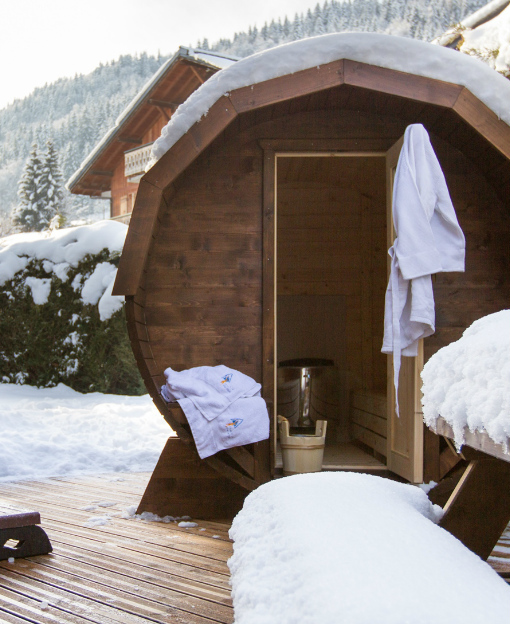 Our chalets have additional features including outdoor hot tubs, saunas, open log fires and specially chosen luxury toiletries. The resorts of Morzine & Les Gets are part of the extensive Portes du Soleil ski area area which is only an hour and a half drive from Geneva. With such a short transfer time, a ski weekend really is feasible. 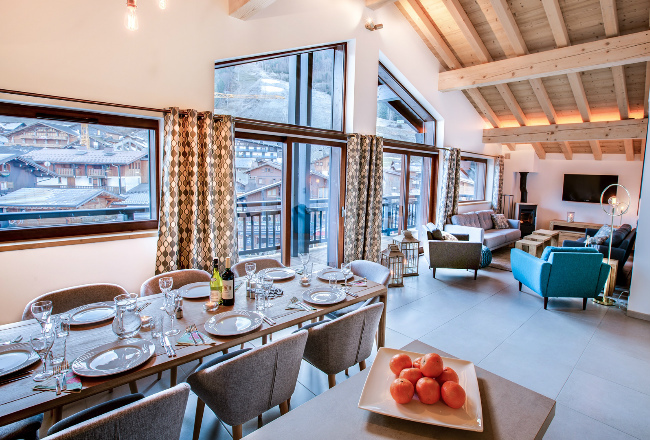 So whether you are looking for a family ski holiday, a short break skiing, a self-catered ski holiday or to be totally spoiled in one of our luxury catered chalets, we are confident we have just what you’re looking for. Morzine and Les Gets aren’t just popular for their skiing and snowboarding, they’re popular holiday towns with amazing restaurants, bars, activities for all the family and plenty of entertainment to make your holiday extra special. This means, alongside our service and knowledge of the local area, that you’ll have a holiday to remember (for all the right reasons) with Reach4thealps! If you come and stay with us on a catered Reach4thealps holiday we’ll do all we can to make this your best ski trip yet. We’ve spent the last 15 years in Morzine and Les Gets, perfecting our service and menu and hope to give you the holiday of a life time. Our staff are hand-picked and chosen for their culinary expertise as well as being excellent hosts and having a “nothing is too much trouble” attitude. We focus on restaurant standard meals which are beautifully presented and work with professional chefs to polish and improve our menu year on year; providing amazing food remains at the heart of what we do. We have a selection of 5 beautiful self catered properties in Morzine and Chalet Shabine, a ski in ski out self-catered chalet in Les Gets. All our self catered properties are in fantastic locations meaning you’re just minutes away from a great selection of restaurants, bars and cafes and can be in the mountains to ski or board in moments. We understand catered ski holidays aren’t for everyone, perhaps you’re after a private family break or enjoy cooking your own meals. We get that and have had 15 years of practice honing what we think is the perfect self catered holiday experience. Morzine and Les Gets are less than 90 minutes from Geneva which make them ideal places for weekend ski breaks and shorter stays. If the pull of the mountains is getting too strong why not book a three or four night stay at one of our catered chalets? Arrive on a Sunday or mid week and get your snow fix. We offer 3 or 4 night stays arriving and departing on either Sunday, Wednesday or Thursday. Our short breaks are for our catered properties so you also get the full chalet service including meals, wine and afternoon tea. Included in every 3 or 4 night stay is a 3 day Morzine and Les Gets lift pass and return transfers from Geneva. We aim for minimum waiting time at Geneva airport and an efficient transfer up to resort, ski passes will be waiting at the chalet and we will get you sorted with ski hire to maximise your time on the slopes. We have limited availability amongst our catered and self catered chalets for Winter 2018/19. We are now down to our last availability with offers as little as €80 per person a night! We offer 3 and 4 day short breaks in our chalets, catered accommodation, including free return transfers and a 3 day Morzine/LesGets Lift pass! Most people come to Morzine and Les Gets in the winter to ski or board. However alongside the miles and miles of runs and amazing off piste tracks and trails, there are loads of alternative activities to have a go at whilst you’re here. Whether you like watching competitive sport, enjoying quiet relaxation in a swimming complex or a spa, having a go at high adrenaline sports like ice climbing or riding skidoos, there really is something to make your holiday even more magical. For more information on what’s available in the winter, please have a look at our activity pages. If you weren’t already excited about your trip to the snow, you will be after having a read of those! To find out more about your chosen holiday town, please click on the link below. We can provide airport transfers to both Morzine & Les Gets. We’ve also got information and contacts for all of our favorite local ski and snowboard schools. For ski hire discounts for Reach4thealps guests please see the bottom of the chalet page where you are staying to find the ski hire shop we recommend for that chalet. Looking for childcare, again we have links below for our recommended childcare companies in both Morzine & Les Gets. Similarly, buying ski passes and knowing which is the right one for you can be quite baffling. Look no further than our ski pass pages for all of the information and pricing for this year. Resort Guides – Morzine in Winter, Les Gets in Winter or Montriond in Winter Airport Transfers – Transfers to Morzine & Les Gets Ski Schools – Morzine Ski Schools, Les Gets Ski Schools or Avoriaz Ski Schools Childcare – Morzine Childcare, or Les Gets Childcare Lift Passes – Morzine Lift Pass Prices 2017 and 2018, Les Gets Lift Pass Prices 2017 and 2018.